The world is always waiting to be discovered. Studying abroad allows students to explore it, challenging their perspectives and introducing them to various cultures while confronting them with pressing issues they’ll face as professionals and throughout life. Saybrook University encourages this type of personal journey and interactive educational experience for our students. 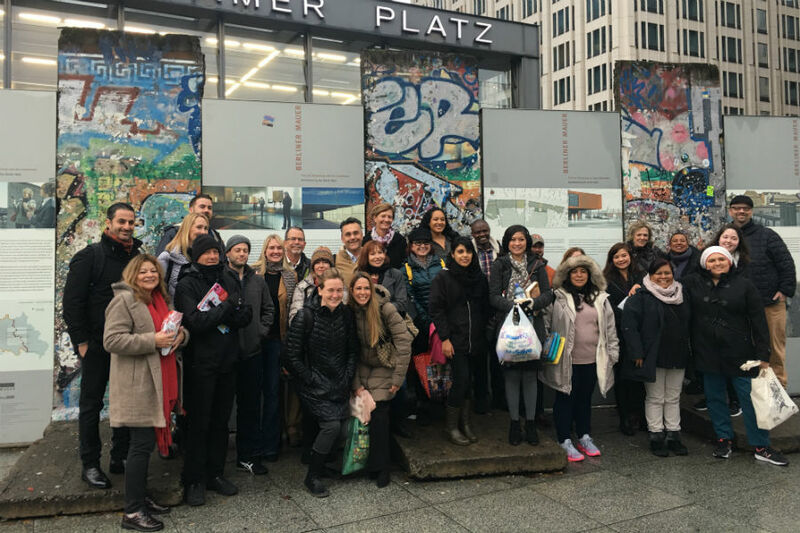 Witness our inspiring video recapping a 10-day visit to Berlin for the "Immigration in Contexts" course offered last year. Students encountered refugees at the emergency refugee shelter of the Berliner Stadtmission (a.k.a. “The Balloon”), an air-inflated shelter assembled in 2014 to assist in housing a growing number of refugees and asylum seekers. Education isn’t always found in a book. Many times it must be sought out through transformative experiences. At Saybrook University our students learn about the world by engaging with it. This creates opportunities to truly learn about the issues affecting the global community, and then act to solve them. Watch the full video to discover the impact you can have on the world while pursuing an education that goes beyond borders.